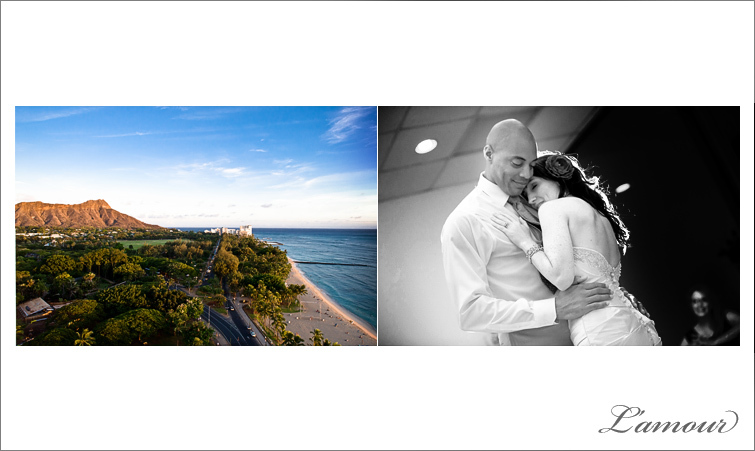 We first met Rachael and Reginald a few months before their Oahu wedding when we photographed their engagement portraits at the JW Marriot Ihilani Resort and Spa in Ko’olina, Hawaii. 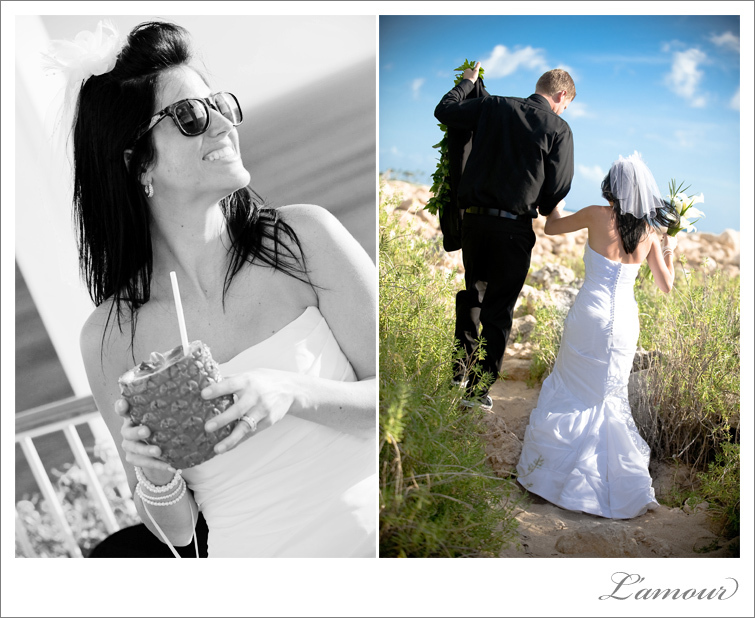 We had a great time getting to know this couple and were so happy to be able to photograph their destination wedding. 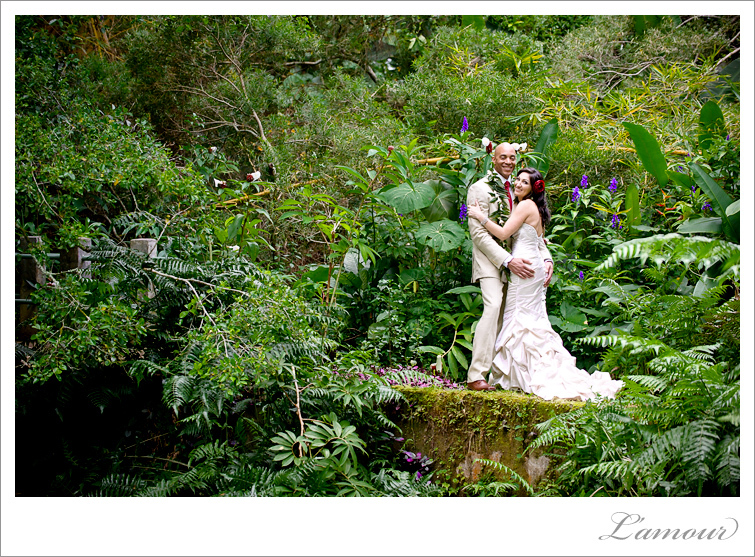 The bride and groom had a Hawaii garden wedding at Haiku Gardens in Kaneohe in their Tahitian Chapel. Rachael wore a gorgeous satin wedding dress with rouching and emboidery on the bodice and a mermaid train with covered buttons on the back. Red satin high heels added a pop of color to her champagne colored gown. This elegant look was complimented by a deep red rose hair clip in her hair. She looked absolutely radiant. Reginald looked handsome in his tan colored suit and a complimenting dark red necktie. 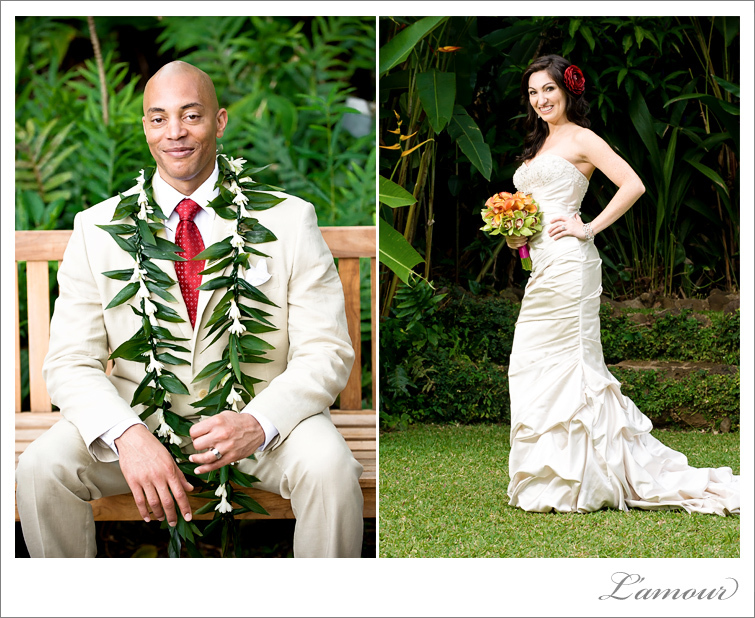 After the Hawaii garden wedding ceremony at Haiku Gardens the couple and wedding guests headed to Honolulu for their Waikiki Beach wedding reception. 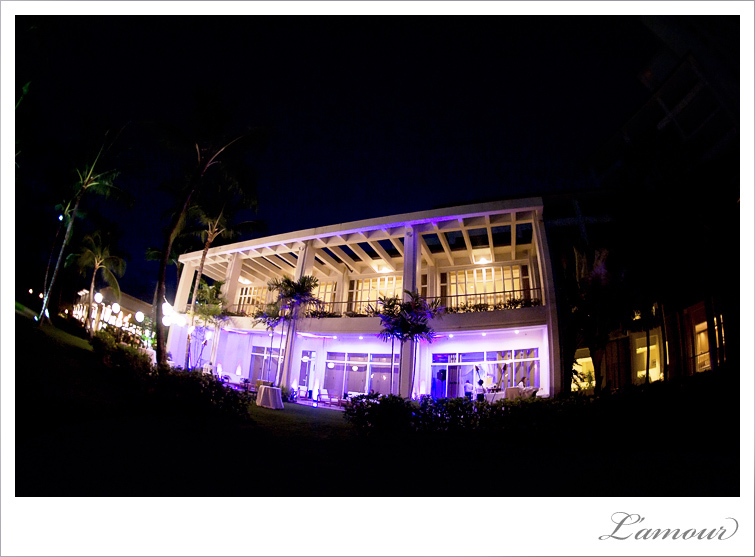 The wedding reception was held at Coconut Club at Tiki’s Grill and Bar directly on the Waikiki strip. Tiki’s Grill and Bar is centrally located in Waikiki Beach, which is convenient for guests especially for Hawaii destination weddings. 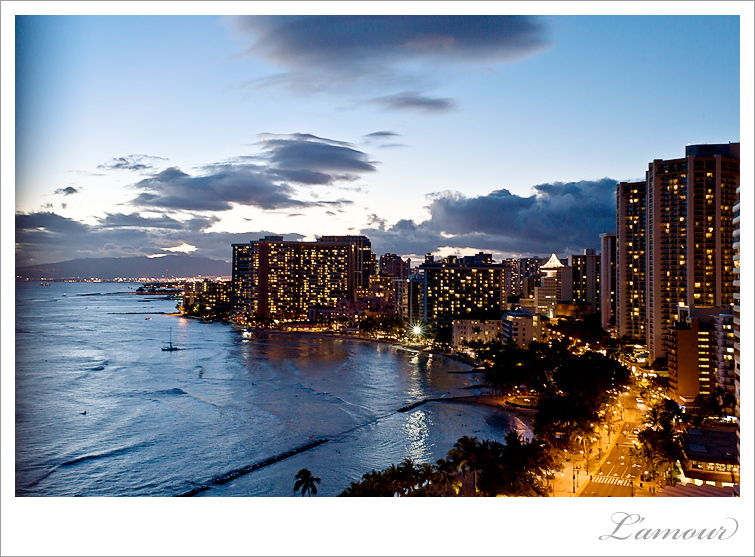 The Coconut Club is located on the 21st floor and has amazing views of Diamond Head and Waikiki Beach. 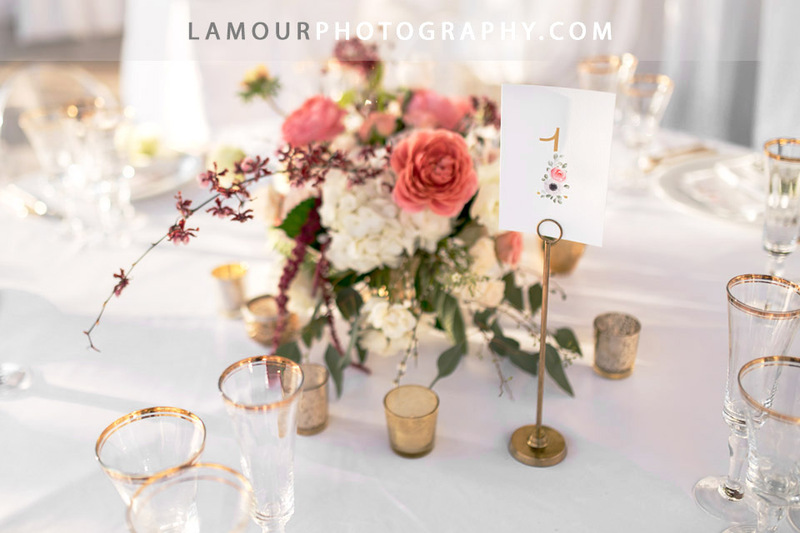 This Waikiki wedding reception had a Moroccan theme with beautiful flowers, linens, and decor by the ever so talented Designs By Hemingway. 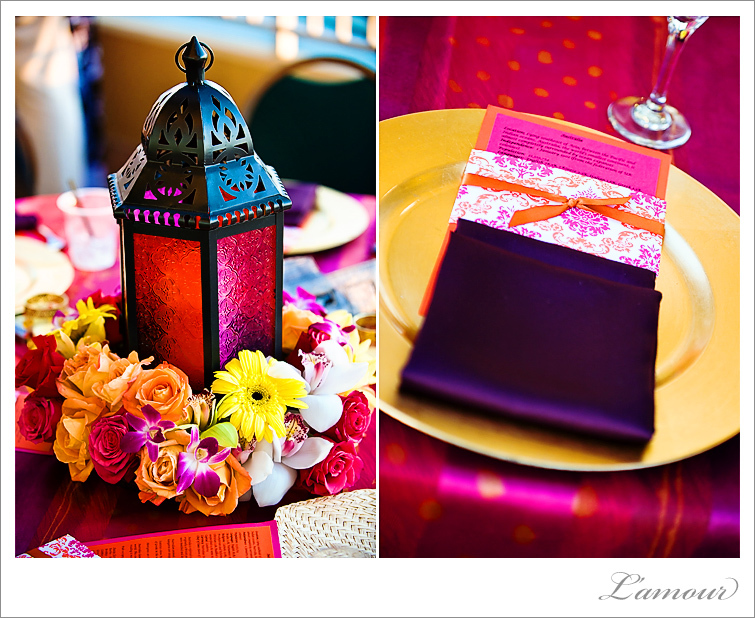 The centerpieces were colorful Moroccan lanterns surrounded by bright roses and orchids. The linens were exotically patterned with magentas, oranges and purples. As the grand centerpiece to this Moroccan themed wedding reception Designs By Hemingway constructed an impressive a towering arrangement of roses, drift wood, and feathers that was a beautiful focal point in the reception. 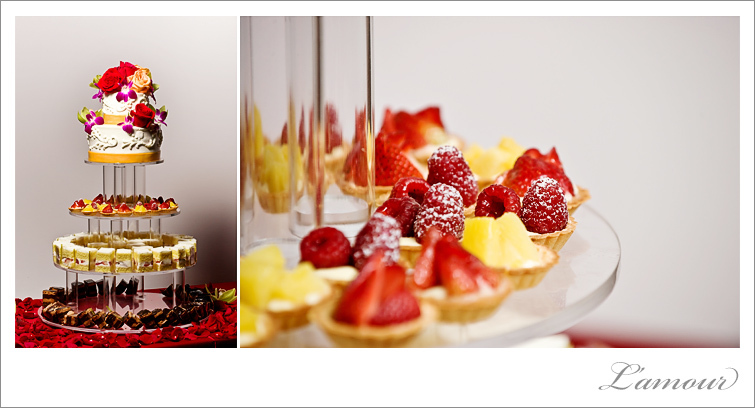 The five tiered wedding cake was done by Satura Cakes had a different type of mini cake on each of the bottom three tiers. The top two tiers were a round fondant cake with an orange ribbon embellished with colorful flowers. 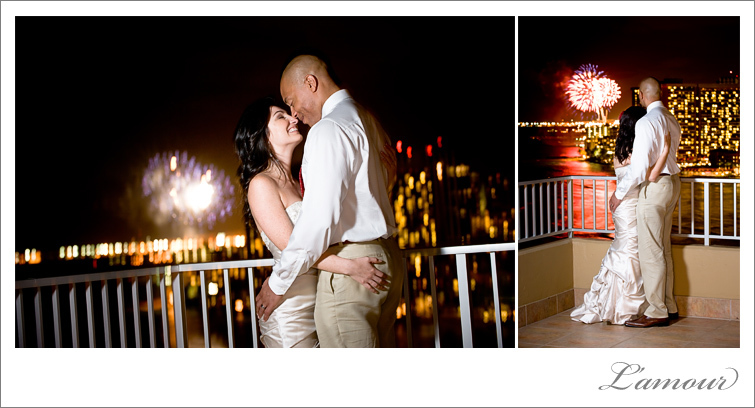 This cute couple finished up their Waikiki wedding reception at the Coconut Club watching the weekly fireworks display that Hilton Hawaiian Village puts on every Friday night. 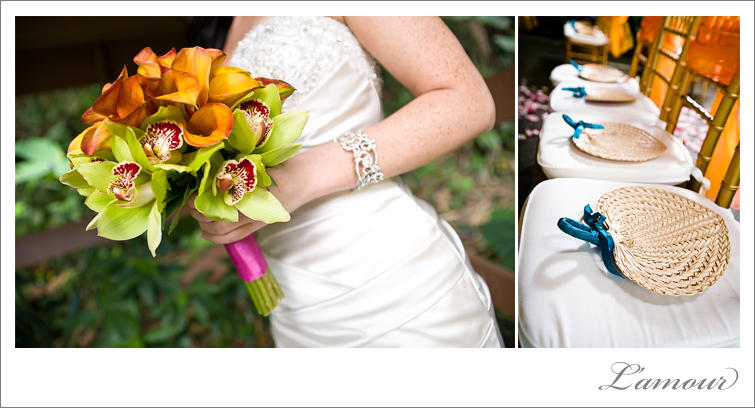 This was a wonderful wedding coordinated by Katy Castillo Weddings. 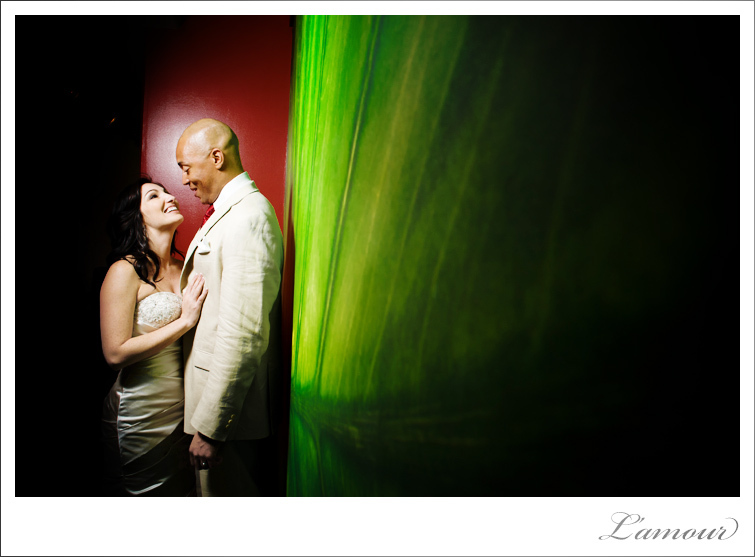 Congrats to Rachael and Reginald! A day like this only comes along once every hundred years, and for this special couple their wedding day on 10.10.10 was, more importantly, once in a lifetime! 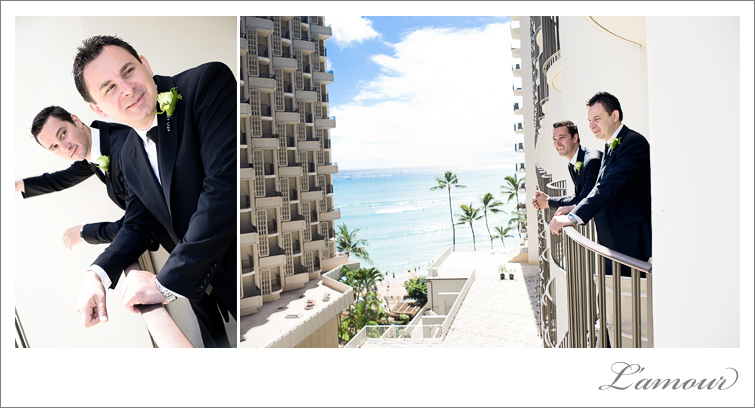 Thirty nine thousand couples started the rest of their lives together on this special date, but our Hawaii Destination Wedding couple came all the way from Australia to have their wedding dreams realized in a gorgeous black, white, and green themed wedding. 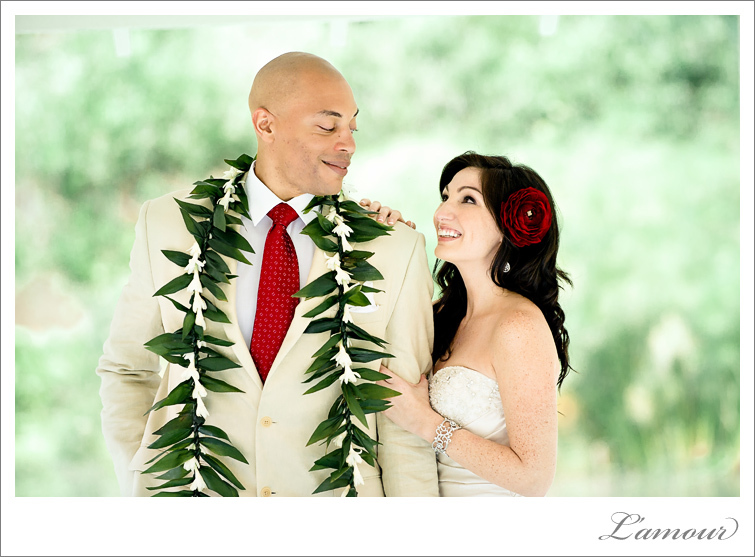 The Ihilani Resort and Spa was the ideal ocean front wedding venue for this stylish and modern Hawaii wedding. 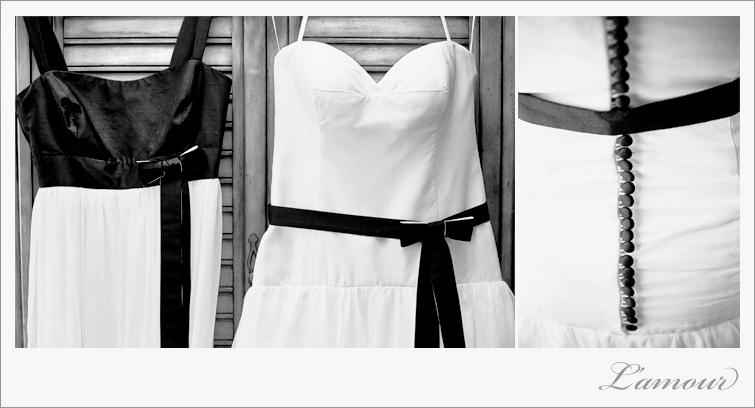 This Black and White wedding dress and bridesmaid dress were custom made to fit the brides ideal wedding dress. 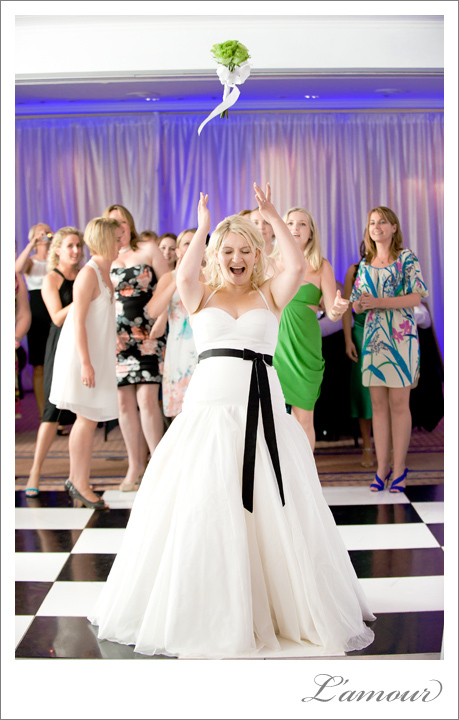 The wedding dress was a white sweetheart cut corset top with a ball gown skirt. A black sash with white lining accented the bodice with the back of the dress featuring black covered buttons that actually functioned requiring some effort from her maid of honor and a trusty button hook. 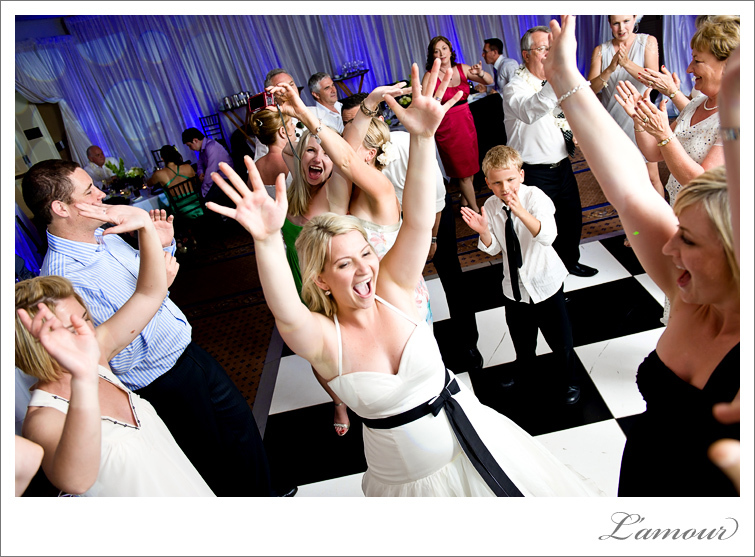 The entire wedding party prepared at their hotel in Waikiki Beach at the Outrigger Waikiki. 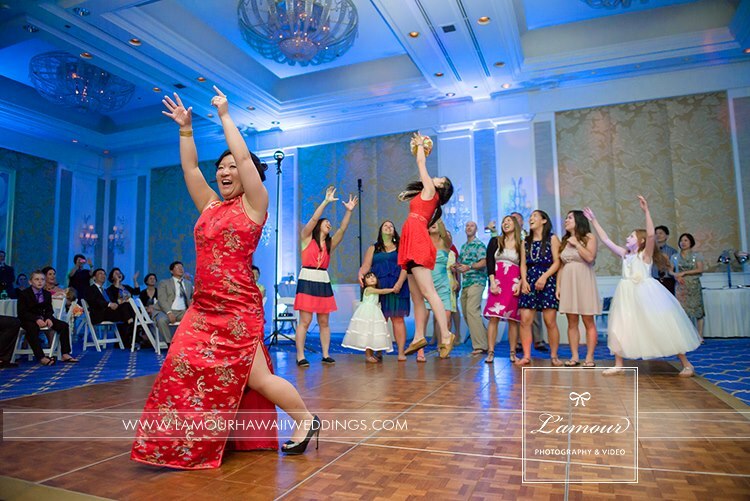 Once everyone had their hair and makeup done and we all dressed, a charter bus took the wedding party and all of their guests to the wedding on the leeward side of Oahu. 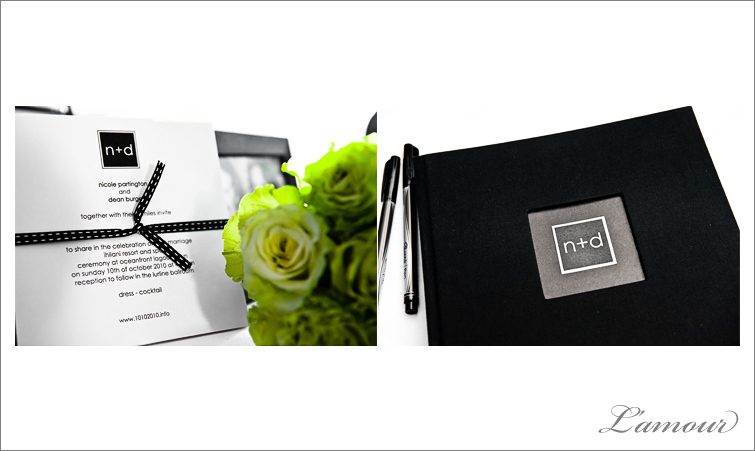 Green wedding details brought a pop of color to this black and white themed wedding. 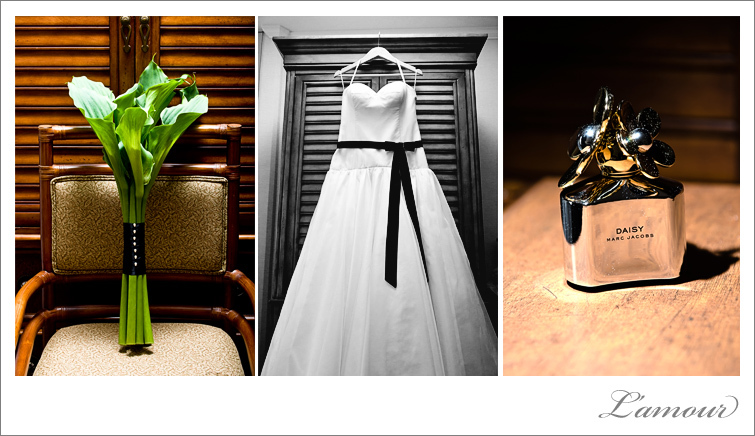 The groom’s boutonnière was a green rose with black ribbon accented by thin white ribbon. The cocktail tables had an arrangement of green roses, hydrangeas, and a few white flowers in a square black vase keeping with the sleek modern feel of this wedding. 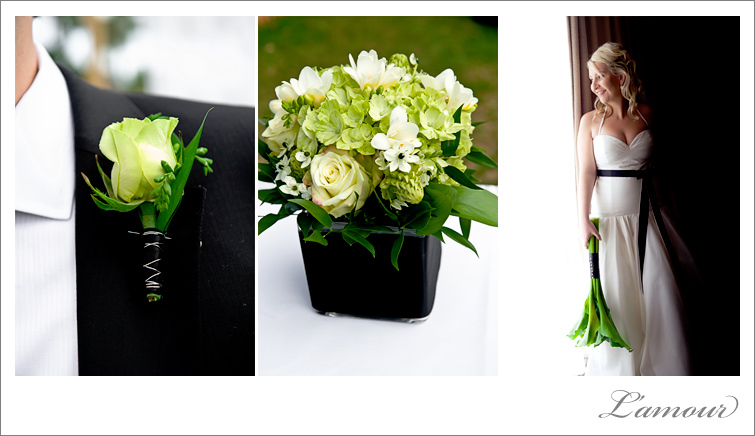 The bride’s bouquet was made of striking green calla lilies wrapped in black satin ribbon and accented by white pins. 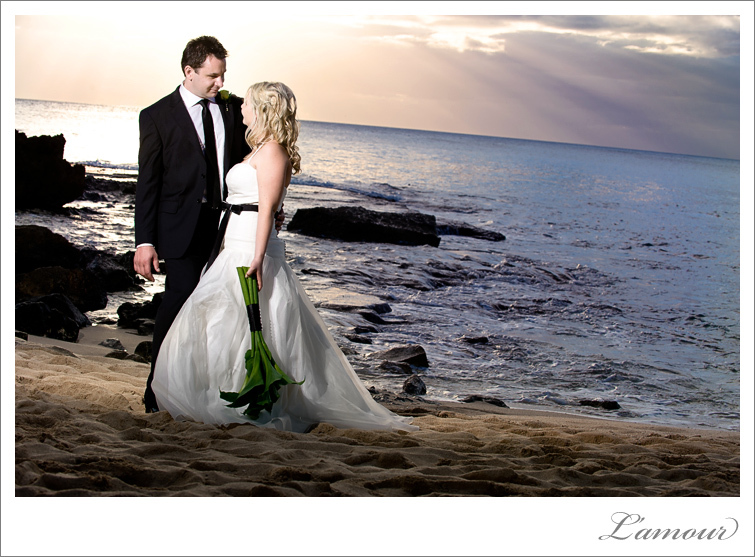 This Australian bride and groom paid tribute to this Hawaii wedding setting with a lauhala covered wedding ring pillow with a black satin ribbon and parasols for the guests. 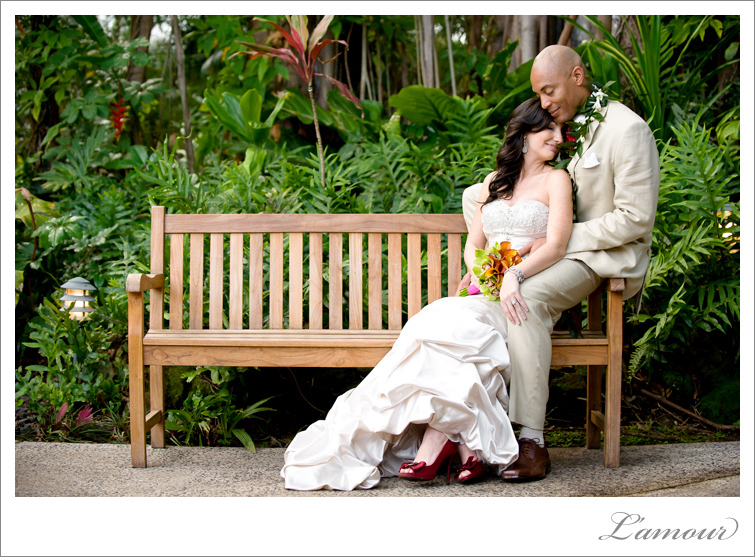 Outdoor Hawaii wedding ceremony at Ihilani Resort and Spa in Koolina on Oahu. 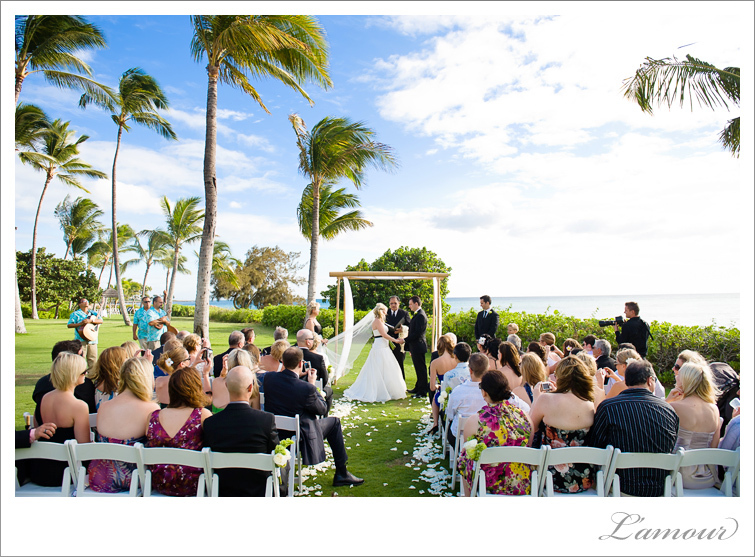 This beach-side wedding venue features a spacious manicured lawn, swaying palm trees and a gorgeous view of the sunset. 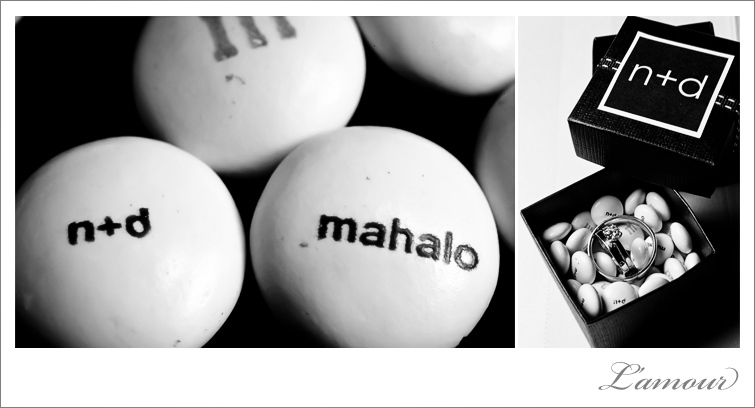 This black, white and green themed wedding had personalized M&Ms that said “mahalo” and the bride and grooms’ initials “n + d.” The lower case monogram that was used throughout the wedding design details is a modern style twist on the classic monogram. 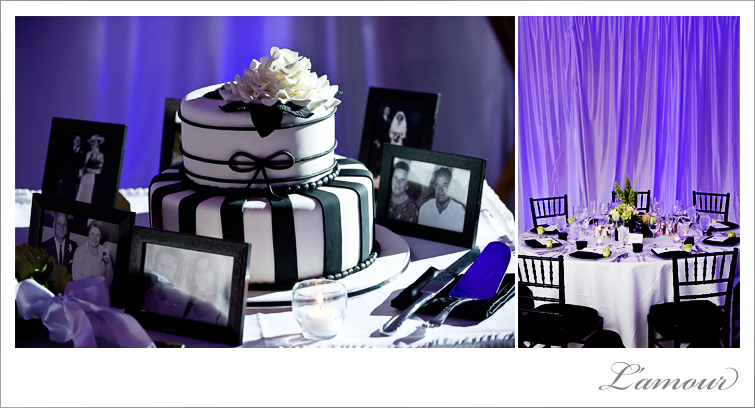 The two tiered round wedding cake was simple and modern with black and white fondant. 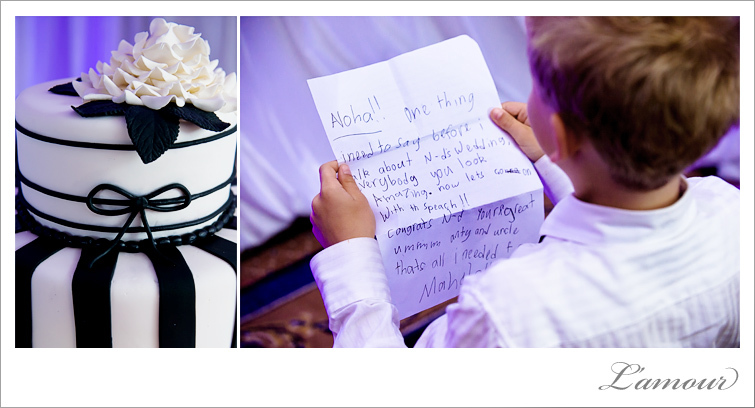 A sweet little bow and fondant flower topped the wedding cake. Framed black and white old wedding photos of relatives circled the table. 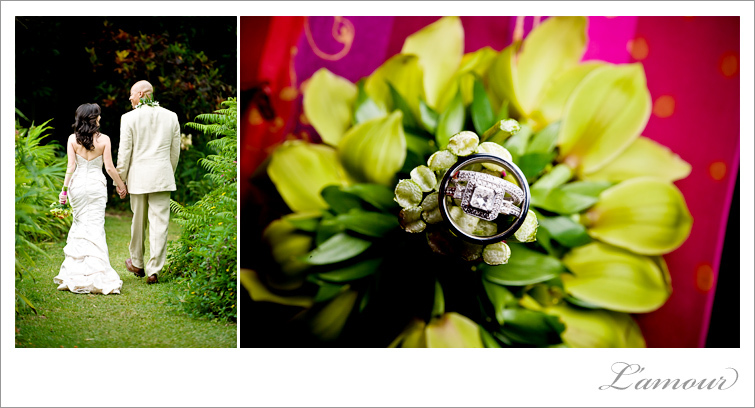 So many great Hawaii wedding vendors were involved in the execution of this 10.10.10 Oahu Wedding. 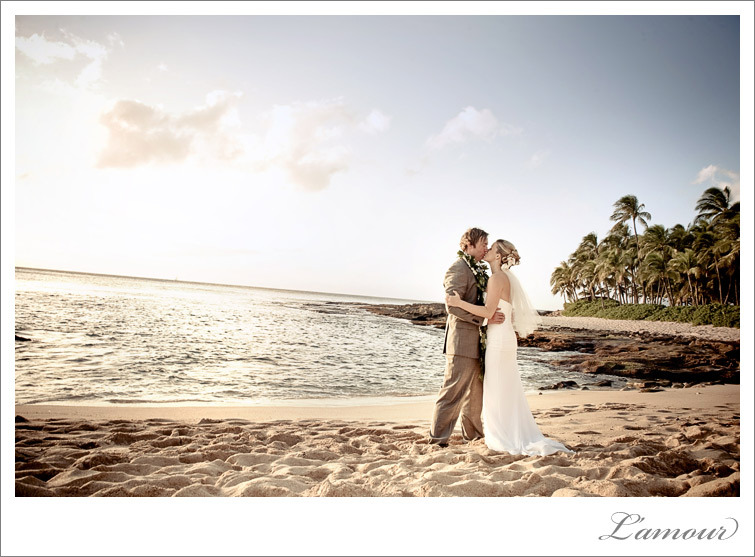 Christina Farrow with Pacific Aisles Inc did a wonderful job coordinating this Hawaii destination wedding. Cake Gallery made the beautiful cake. Flower Farm was the florist for these unique green bouquets and centerpieces. 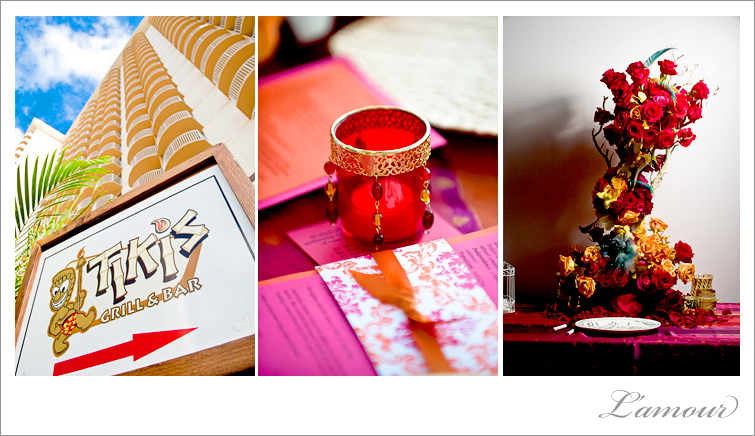 Event Essentials provided the lounge furniture and decor. Mood Event provided the drapery and lighting. 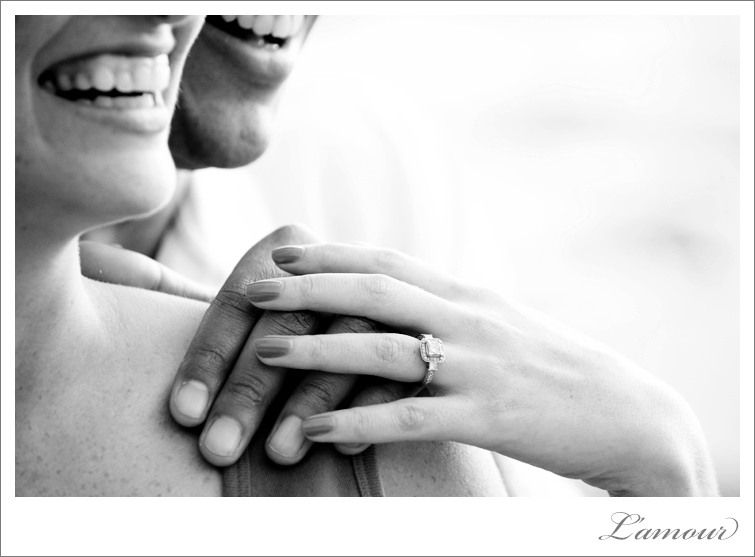 People always ask us for advice for their engagement session – Do you want to know a secret? 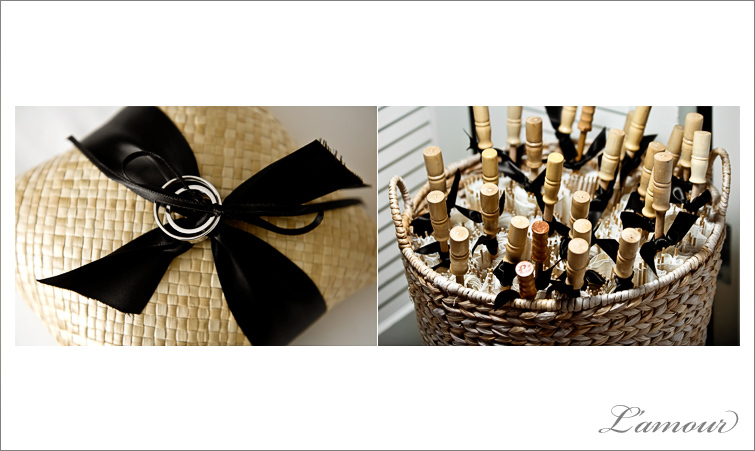 One of the most important ingredients to a great engagement session is to just be relaxed and to be yourself. Simple as that! 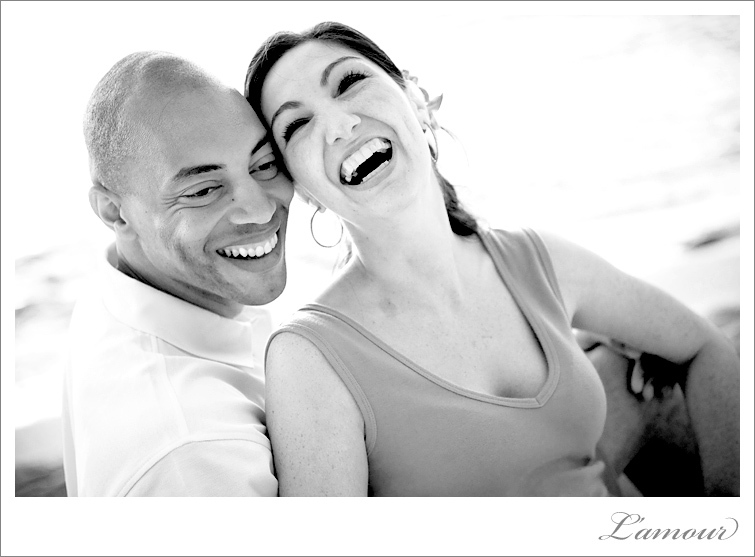 This couple was so playful, fun, and relaxed that it made the session fly by! 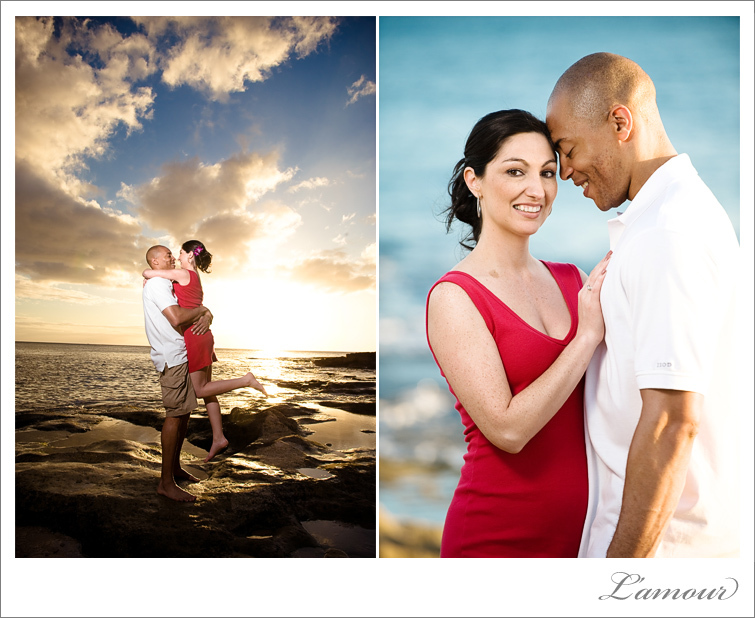 This engagement session was shot on the west coast of Oahu at the Ihilani Marriot in Ko Olina. 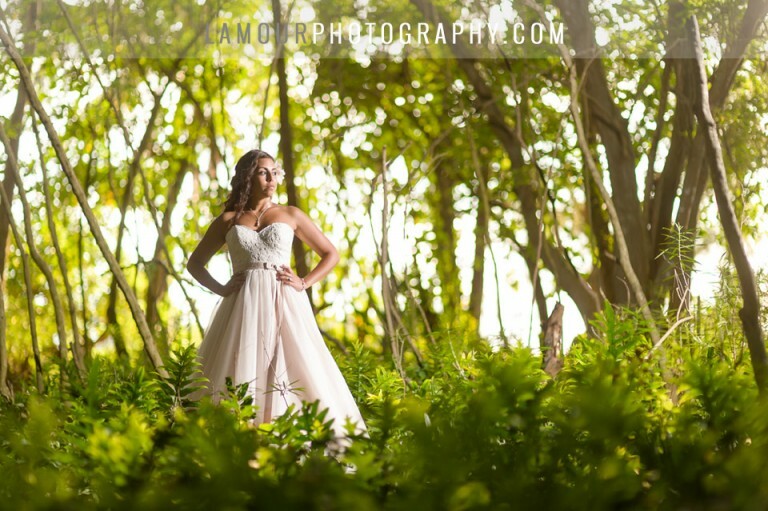 Living in one of the most remote areas of the world and in the middle of the Pacific Ocean has led us to meet people from all over the world who come to Hawaii to get married or attend a destination wedding. 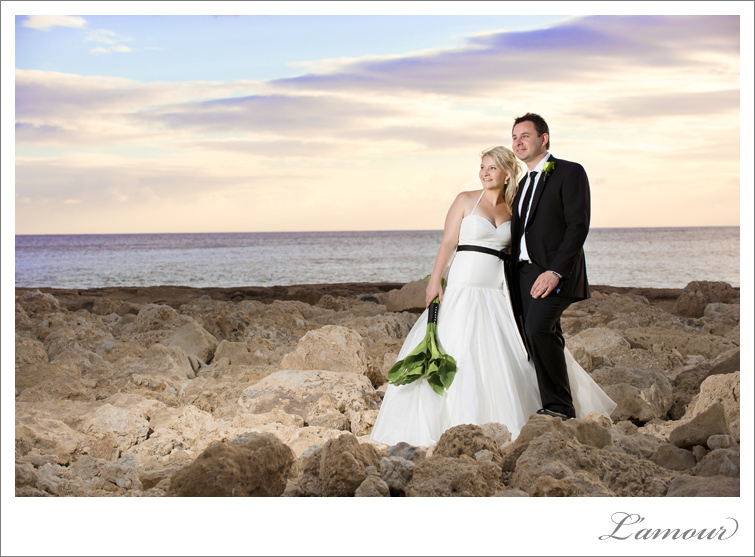 This cute couple came all the way from New Zealand for their wedding at the Ihilani Resort in Ko’olina. L’Amour has happy clients all over the world, here are some places, just to name a few: Germany, Japan, Australia, New Zealand, Wales, England, Russia, Bulgaria, India, Korea, Poland, Canada as well as all over the US! 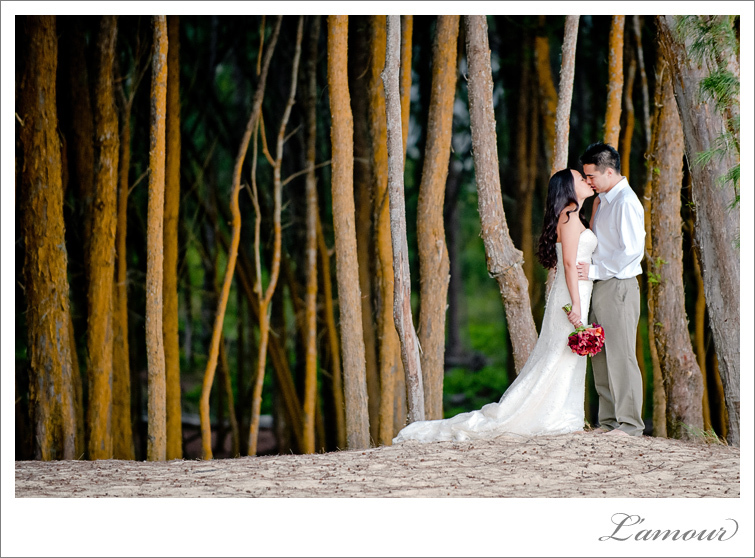 We absolutely loved this Hawaii destination wedding at the Ihilani Resort on Oahu. 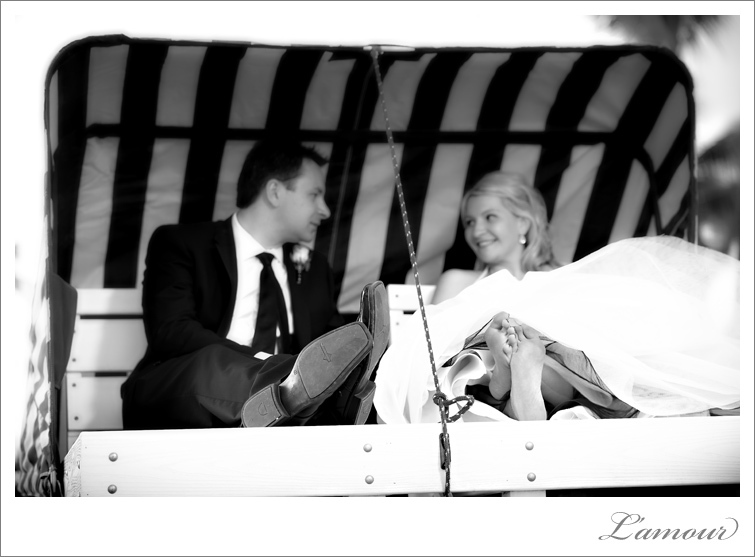 This beautiful couple from California was so great to work with. Their guests were treated with Mai Tais served in whole pineapples at the presidential suite overlooking the whole resort. Now THAT is how to party! 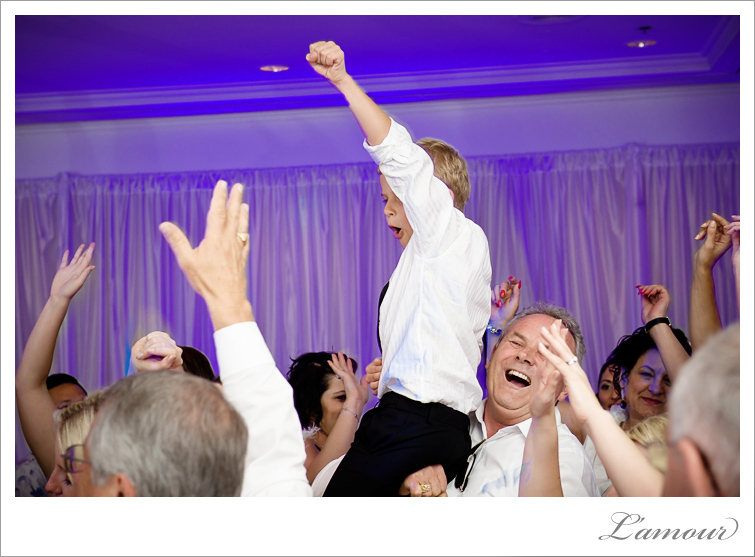 This groom and his best man were so great to photograph. 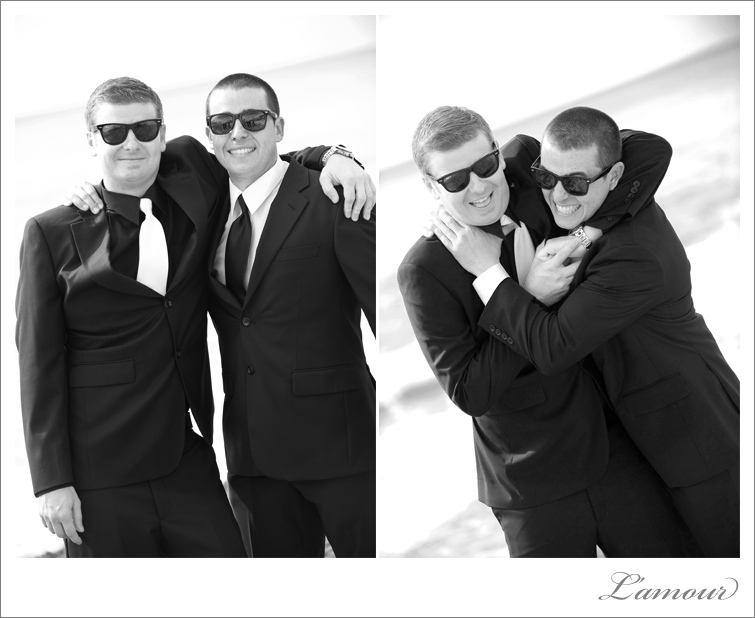 We just love how they were able to be themselves and joke around with each other during the portraits after the wedding ceremony at the JW Marriot Ihilani Resort and Spa in Ko’olina on the East coast of Oahu. We had a such a great time with this whole wedding party as they celebrated in the swanky Presidential Suite overlooking the whole resort.